"We've never witnessed anything like this." 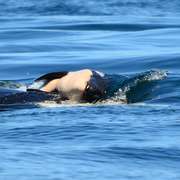 A wild orca who was spotted carrying the body of her dead newborn calf last week is still refusing to let go — and now her family has gathered around the exhausted mother, helping to carry the dead calf for her. "We've never witnessed anything like this," Jenny Atkinson, director of the Whale Museum on San Juan Island in Washington, told CBC Radio on Tuesday. 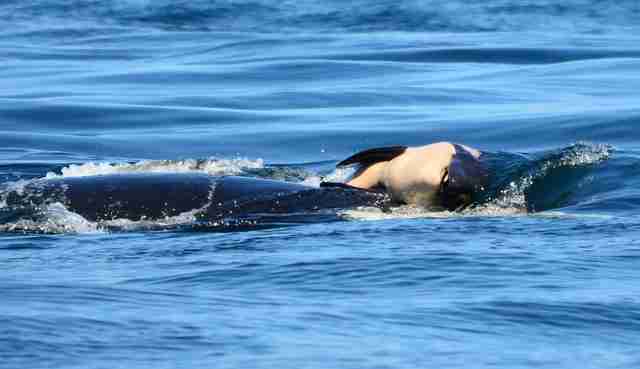 Shortly after J35 — also known as Tahlequah — gave birth last Tuesday in the Salish Sea, off the coast of Washington, she and her baby were seen swimming together. But this joyful moment was all too short — by the time researchers from the Center for Whale Research (CWR) arrived to document the new baby, the calf had already died. 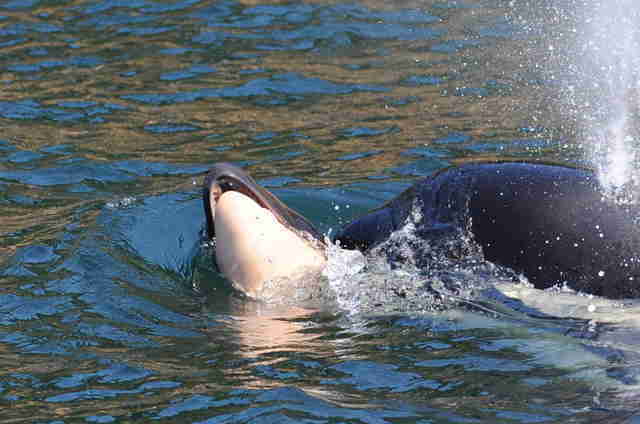 At first, other members of the pod were seen gathering around Tahlequah as she dove under the body of her baby to keep it from sinking and lifted it up repeatedly onto her back. After this ceremony on Tuesday evening, it seemed that the pod was moving on, while Tahlequah kept trying to keep the body afloat. But new reports suggest that other members of J Pod have actually been helping to carry the baby, since Tahlequah has been spotted without the body several times, and then spotted with the body once again. 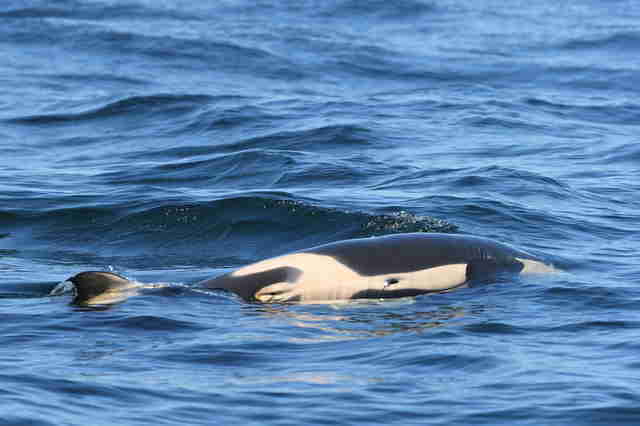 Researchers have also heard the wild orcas communicating with each other in an unusual way, which sounds like it's related to the loss of this baby. "We picked up some calls earlier in the week ... things that sounded more like a very urgent call," Atkinson said. "If you think of going to a wake for a family, things can go on for multiple days and the grief is still deep, but the emotions kind of soften." It has been three years since any orcas of the endangered southern resident killer whales (SRKW) — which includes J Pod, K Pod and L Pod — have produced healthy offspring. Not only were these families depleted in the 1970s when SeaWorld and other marine parks captured baby orcas for their exhibits, but since then, overfishing and dams have led to a depletion in their food source — chinook salmon —which has made them dangerously weak. "J35's ecosystem is at dire risk because of our activities," Barbara J. King, professor of anthropology at the College of William and Mary and author of "How Animals Grieve," told The Dodo earlier this week, when she confirmed that Tahlequah's behavior appeared to be a mourning process. "It is we who have dammed the rivers, polluted and overfished the waters, and it is up to us to act to help." You can help save these orcas by signing a petition to breach dams and make food sources available to these orcas again. You can also make a donation to CWR.